Singapore's Hawker Centers bring street food under one roof. This morning, the Guardian published a story debating whether Singapore’s “hawker center” model would work in Britain. 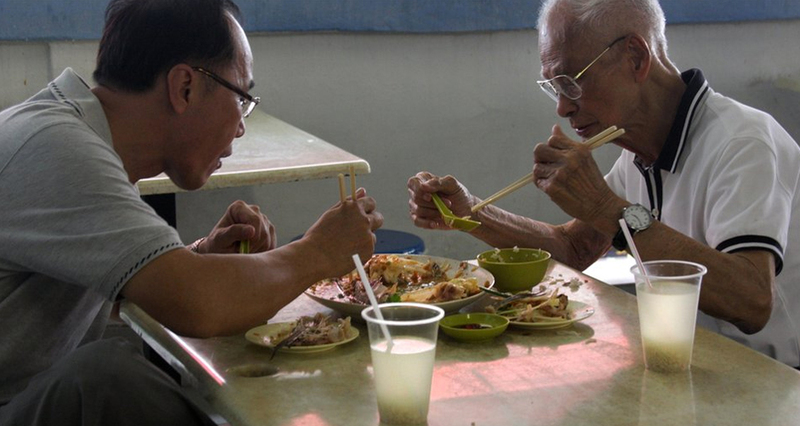 What’s a “hawker center,” you ask? It is a subsidized food court, of sorts, where would-be street food vendors sell their prepared-to-order goods from small food stalls. The Guardian explains that “Singapore took street food off its streets 20 years ago. Because of health and safety concerns, the traders (or hawkers) were moved to warehouses with electricity and running water.” Now, Singapore has 107 centers housing about 15,000 stalls altogether where business men and women line up with taxi cab drivers to get plates of Hainanese chicken rice or curry noodles. The beauty of the offerings at these hawker centers is the sheer variety. 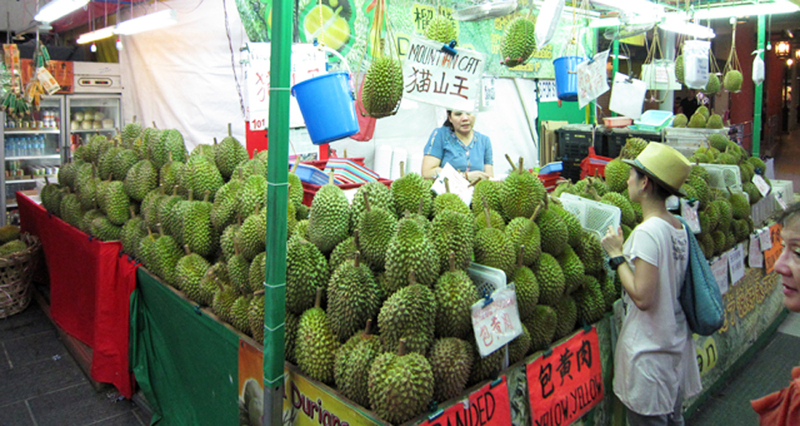 “Singaporean food culture speaks of a fusion of cultures from all over the world,” explains the Singapore Food Culture blog. An article in National Geographic asserts that, “Singapore’s cuisine is as diverse as its culture. 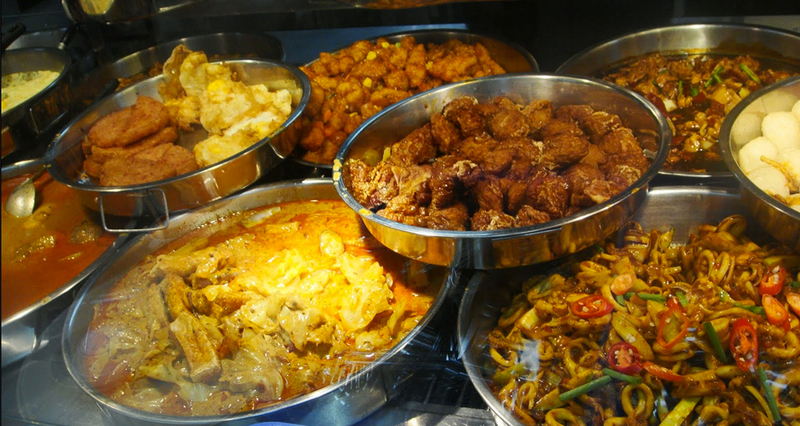 It’s an extension of Malay cuisine but influenced by the Chinese—not to mention the Indians, Arabs, British, and other settlers who have contributed to making Singapore one of the world’s most important trading ports.” If you ask us, that sounds like a big ol’ melting pot of delicious. Maybe that’s why Singaporeans are obsessed with eating, or makan, as locals call it. Singapore’s cuisine is as diverse as its culture. 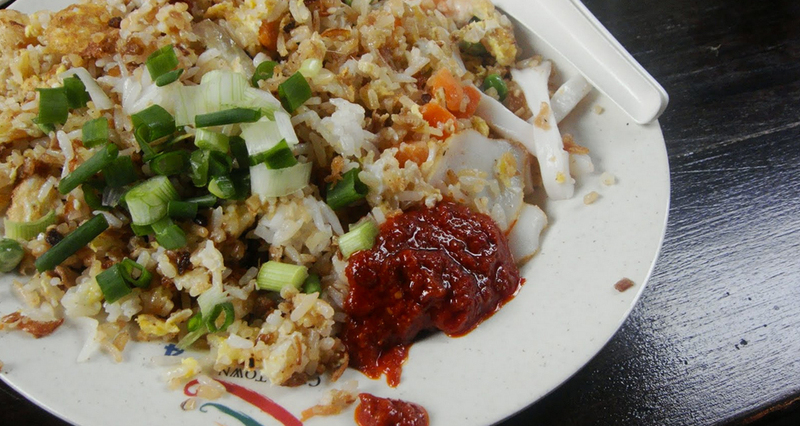 It’s an extension of Malay cuisine but influenced by the Chinese—not to mention the Indians, Arabs, and British. There is a great division between authentic hawker centers in Singapore and straight-up tourist traps. 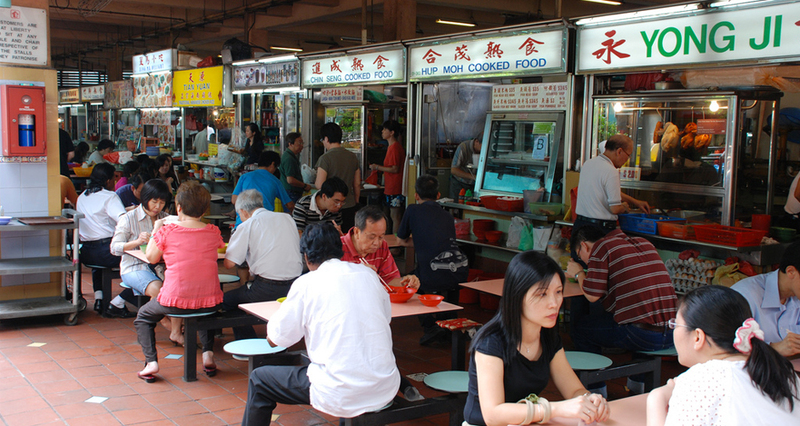 Bedok North Hawker Center is popular with locals. 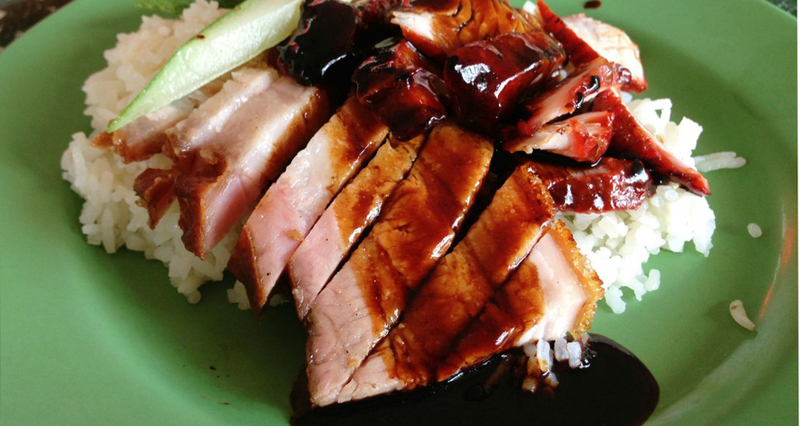 This Chowhound post from Limster points diners to the Nasi Lemak stall for rice flavored with coconut and pandan. Apparently, the line for this popular stall is impossible to miss. 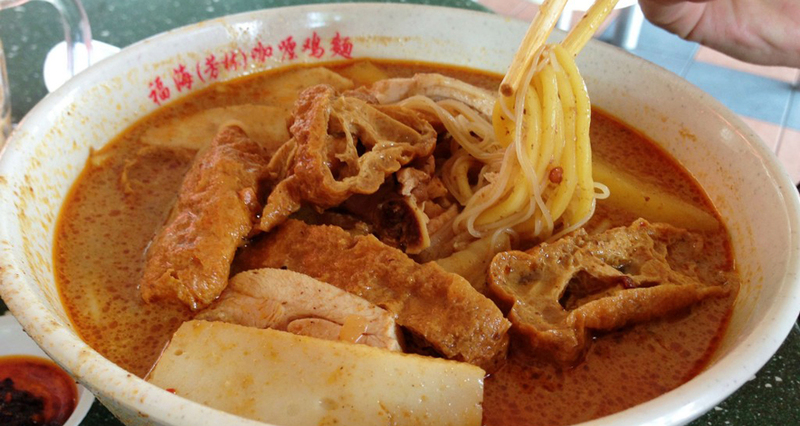 The Chinatown Complex Food Centre is popular with those in the know, specifically for Katong Laksa. Maxwell Food Center serves delicious Hainanese chicken rice, a Singapore favorite consisting of boiled boneless chicken served on a bed of rice that has been fried in chicken fat with gobs of garlic and ginger. No matter which Singaporean Hawker center you find yourself in, go with the stalls that have the longest lines, because they’re often the best. It’s clear that Singaporeans take their “street food” seriously, and street food is seriously accessible when it’s all under one roof. To think: Food courts in America “hawk” Sbarro Pizza and Panda Express, when they could very well offer a perfect plate of chicken rice or a comforting bowl of laksa.